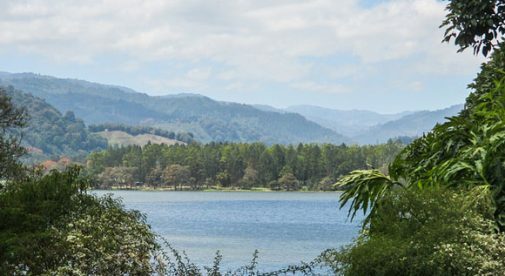 I know that when we began to look more in-depth at Costa Rica as our retirement destination, the reports of living on what seemed to be a minuscule amount of money seemed incredible, and sometimes the information came across as vague. I asked myself several questions: Was it really possible? Would we be trading quality of life for a lower cost of living? Did living in certain parts of the country cost more…or less? I’m betting many of you have similar questions. Now that I live there, here’s what I found out. Living in different parts of the country does have an impact on costs. For example, if you love the beach (and they are beautiful here) you will more than likely be using air-conditioning. That affects cost. If you live in an area that is popular with tourists, you can expect some higher costs as supply and demand makes its impact. And just like back home, living outside the larger cities costs less, too. We live in the Orosi Valley, which is considered to be more rural. But the big city malls and other amenities are only a quick drive away. So, we have full and easy access to anything we want or need. The hottest new movies? Check. Ethnic restaurants—Indian, Mexican, Asian. Check, check, check. Full-line pet stores? You guessed it, check! We even have live theater, though you’ll want to brush up on your Spanish for that. Because we live in the mountains, we have no need for air conditioning or heating, which lowers our utility bill. We also have a 50-gallon passive solar water heater. So our cost for hot water is zero. Electricity does cost more per kilowatt-hour in Costa Rica, but because we use so little of it the overall cost is less. Gasoline is costly here because it is all imported, but we drive much less so it evens out. We shop at the feria (local farmers’ market) every Saturday for our fresh produce. But we grow our own banana, citrus, and other fruit on our property. We go to PriceSmart—it’s just like Costco—every 10 weeks or so to stock up on bulk items and meats. We entertain and cook a lot so I spend a bit more on groceries than many people do. It’s an average of $27 per week at the feria and $400 every trip to PriceSmart. All the shopping gaps are filled in with a trip to Walmart about every 10 days. We also spend about $110 per month on food for our animals (we have dogs, cats, goats, and chickens). We get all our own milk, cheese, and eggs from the farm animals. All that shopping comes to an average of $600 per month. If you’ve been keeping tally, you’ll know that brings us to $1,555. The other $300 to $500 comes from eating out, new landscape plants, a trip to the beach, etc. After living here, I learned that it is possible to live on a smaller amount without cutting our quality of life.